Five DVDs for just $25! 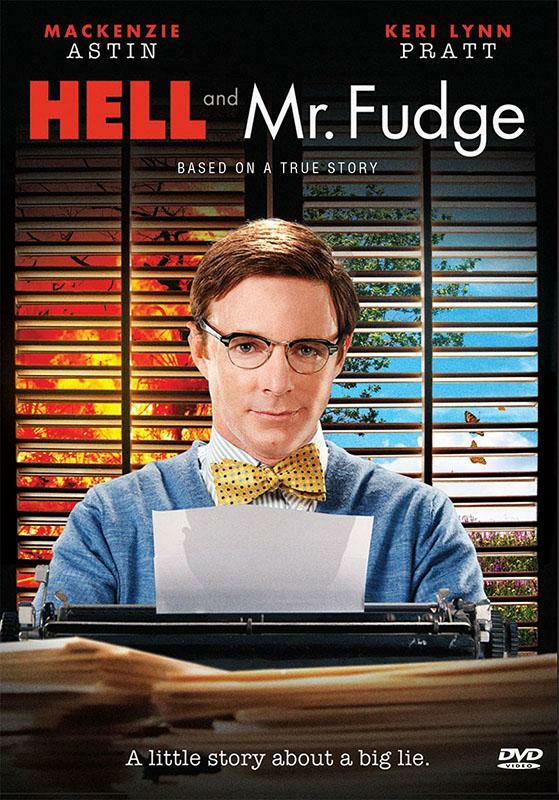 Share Hell and Mr. Fudge for just $5 each! 2019! Happy New Year! Honestly, I never imagined we’d still be on planet Earth when year 2019 came rolling around. But here we are. Until that day, or until something else stops us, we have things to do! As the new year takes off, our Youtube Project is going forward in spite of obstacles and delays, and by the grace of God! The Immortal Soul, our first program, is assembled and the graphics and word art are being created. Along with that, a social media guru is making our online materials most effective, developing the foundation for efficient online delivery when the Youtube series is ready. While that’s happening I’ll be off on a short trip – thankfully with internet access most of the time – to Turkey and Beirut, Lebanon. I’m still reachable by phone should anyone need me. Beirut!! That’s where I grew up! That was my childhood home! That’s where my siblings and I caught scorpions, snakes, chuckwallas and chameleons; that’s where “Grandma Robinson” (Ella Robinson, granddaughter of EGW) taught me to read at a blackboard in our garage; that’s where our donkey Bozo rode home in the back seat of our car after he’d run away and our dog Gink escaped from us kids and pranced around campus in my brother’s underwear. To go back is a dream and a privilege. The occasion? Hell and Mr. Fudge will be shown at Middle East University in Beirut and in a public venue, either a Municipal Hall or a local theater. The team in Lebanon hope to have it subtitled in Arabic (translation going on right now) by the 9 th of February, when it will be shown. That’s a big order so please add your prayers to theirs and ours that it comes together quickly and well. I’m invited to be there and share my story of God’s goodness. The Wandering Day and portions of the Seventh Day, which is already subtitled in Arabic, will also be shown. One more bit of business I’d appreciate your prayers for: LLT, since 1991, has resided in a rented building. The owners are supporters whose family has generously provided LLT’s studio/office space for over 30 years. They’ve offered to sell it to us and we’d like to buy it. To work out the way and means looks challenging, so we’re asking for divine guidance. Thank you for being a part of the LLT family, for holding us up, for your faithful support of the work. I’m wishing you a new year full of blessings and challenges, evidences of God’s grace and power and a closer, deeper love for Him. Donate using our secure server. We begin the new year with renewed determination to confront the false doctrine of natural immortality. This diabolical deception is the common foundation of every version of modern spiritualism. It is endemic in our culture, embedded in the hearts and minds of both religious and secular people. It affects the worldview of young and old alike. Here’s a shocker: our experience suggests that there may be someone in your own church – your own congregation – whose views of death and the hereafter have been warped by some version of natural immortality and spiritualism. Who is behind the pervasive propaganda that pushes the immortal soul deception to the forefront? Satan himself. He orchestrates the mass-media blitz that includes the internet, video games, books, radio, television, and movies. He is the creative mind behind apparitions, ghosts, zombies, vampires, necromancers and spirit mediums. He has had almost total success in his campaign. His most subtle, insidious advances have come under the guise of religion. Some of the most devoted proponents of immortal soulism are teachers, priests, pastors, and other church leaders. Sincere and pious as they may be, they are Satan’s unwitting allies. The more religious it looks, the more dangerous does spiritualism become. It gives our worst enemy a direct channel for his worst deceptions. It opens the way for communication with the “dead” and for interaction with demons. The apostle Paul understood the threat. “…for even Satan disguises himself as an angel of light” (2 Corinthians 11:14). He wrote to Timothy, “Now the Spirit expressly says that in later times some will depart from the faith by devoting themselves to deceitful spirits and teachings of demons” (1 Timothy 4:1). John the Revelator saw a symbolic preview of end-time spiritualism: “And I saw, coming out of the mouth of the dragon and out of the mouth of the beast and out of the mouth of the false prophet, three unclean spirits like frogs. For they are demonic spirits, performing signs…” (Revelation 16:13, 14). We cannot turn back the tide of Satanic deception, but we can reach out to receptive minds through our films, videos, and the social media. We are committed to use the resources God provides to present truth in an engaging and persuasive manner. There is a world to be warned. There are many souls we can rescue from the strong grip of false doctrine. Your prayers and financial contributions sustain us in this work. Thank you for partnering with us in this way. The Hell and Mr. Fudge DVD is a great way to introduce friends and loved ones to the truth about the immortal soul and eternal torment. Spread the word for just $5 per DVD when you order in multiples of five.